A group of guards at an Alabama prison went on strike this weekend, out of solidarity with inmates protesting overcrowding and unjust labor practices. Strikes and work stoppages have rolled through the nation’s prisons following the 45th anniversary of the Attica uprising earlier this month. On September 9th, inmates at the William C. Holman Correctional Facility in Atmore went on strike for at least 24 hours, refusing to show up for their work assignments. 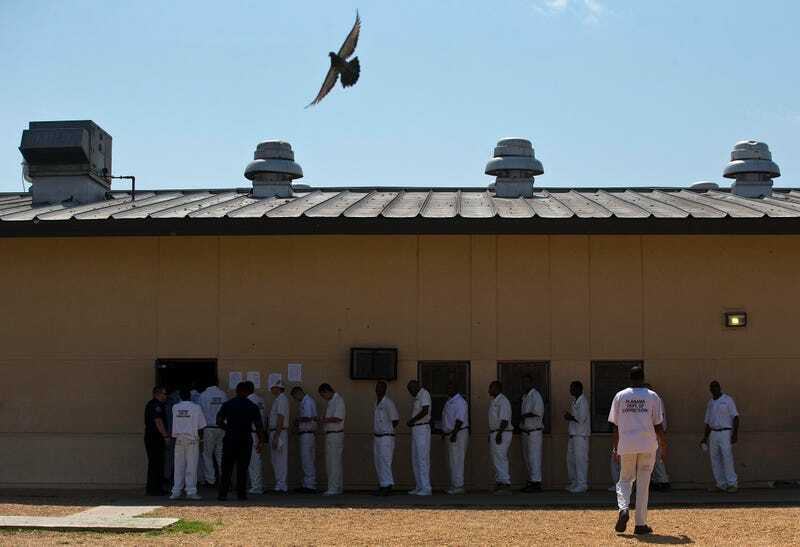 Activists argue that prison labor is a form of slavery, as permitted by the 13th Amendment to the U.S. Constitution, which bans slavery and servitude “except as a punishment for crime.” Prisoners at Holman earlier went on strike for 10 days in May, and the warden and a guard were stabbed during a riot in March. On Saturday, “some correctional officers” assigned to the third shift at the prison did not report to work, the Alabama Department of Corrections confirmed, and Assistant Commissioner Grantt Culliver was reportedly called upon to help serve meals. According to Kinetik Justice, an incarcerated organizer who has spent over two years in solitary confinement at Holman, the warden himself was pushing the food cart. Neither the Alabama Department of Corrections nor the Free Alabama Movement immediately responded to a request for comment from Jezebel.